Firefox is getting popular nowadays due to its ability to keep on improving its product quality quickly as well as others useful and powerful add-ons that have been introduced which make it outstanding as compared to others web browsers. One of the best add-ons worth to highlight here is Foxmarks Bookmark Synchronizer 2.5.3. 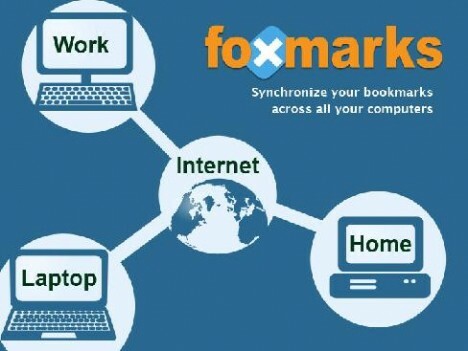 Installing Foxmarks Bookmark Synchronizer in multiple computers enables you to synchronize bookmarks and passwords, keeps bookmarks and passwords backup online so that they are safe from computer hardware failure, and allows you access bookmarks online at any computer in any time. 1) It is able to automatically synchronize any changes you have made to bookmarks and password in any of the computers, ensuring that they are identical everywhere. 2) Backup your bookmarks online automatically every time you make changes so that you can restore your bookmarks easily if there is any system crash or hardware failure happened to your computer. 3) You can view/add/edit/delete your bookmarks even you are away from your computers. For example, all bookmarks are backup online so you can logging into my.foxmarks.com to access and manage your bookmarks. 4) Share your favorite bookmarks with your friends in blog or website. Foxmarks server is able to display bookmarks on web page, in RSS feed, or as a widget that let you share them easily with your friends via blog or website. 5) You can selectively synchronize which bookmarks to be appeared on which computers. For example, keep you work bookmarks at office computer and personal bookmarks at your home computer. 1) Go to Tool -> Foxmarks -> Setting. 2) Click on Sync tab. 3) Select “Password” checkbox, then you will be guided through the password synchronization setup follow to enable this feature turn on. 4) Repeat above steps on all of your computer which you would like to keep the password in sync.